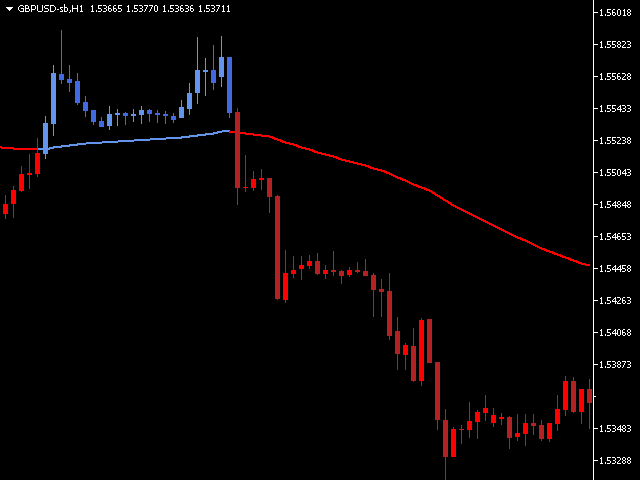 This Indicator draws different sets of colored candles above and below a Moving Average (MA) line. Candles above the MA line are light Blue for an up candle and dark Blue for a down candle. Candles below the MA line are light Red for an up candle and dark Red for a down candle. Change the chart price graphic to Line Chart - Press (Alt + 3) or locate 'Charts' on top menu and select 'Line Chart'. Make sure that 'Bar Chart' or 'Candlesticks' is not accidentally selected. Open the Chart Properties window - press (F8) or right click anywhere on the chart and select 'Properties'. Select 'Line Chart:', now select the '▼' and change color to 'None'. The chart should now have no graphical price displayed and is referred to as the blank chart. All default inputs and parameters can be changed and saved to a user named .set file for later recall and reuse via the Save and Load buttons on the Inputs tab. To change colors please use the Inputs tab and not the Colors tab. 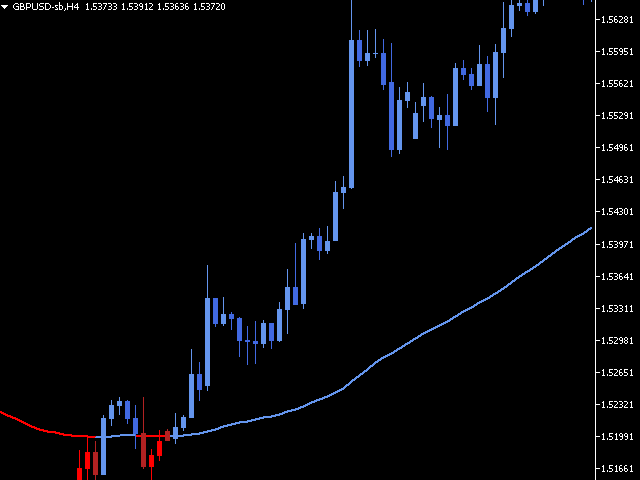 Below MA down candle - FireBrick.